Okay, friends, here's the requested information about the coming video! First, the idea came from ABC's "Your three words" project - you can view a bunch of what people have done by clicking here. There are some really touching ones! We'll send our video to ABC after it's finished and posted on Sept 12th - they just might be interested in OWH after they see our homage to their idea! Wouldn't that be a great way to get their attention during our Birthday Bash? This will be an inspiring video....starring all of America! 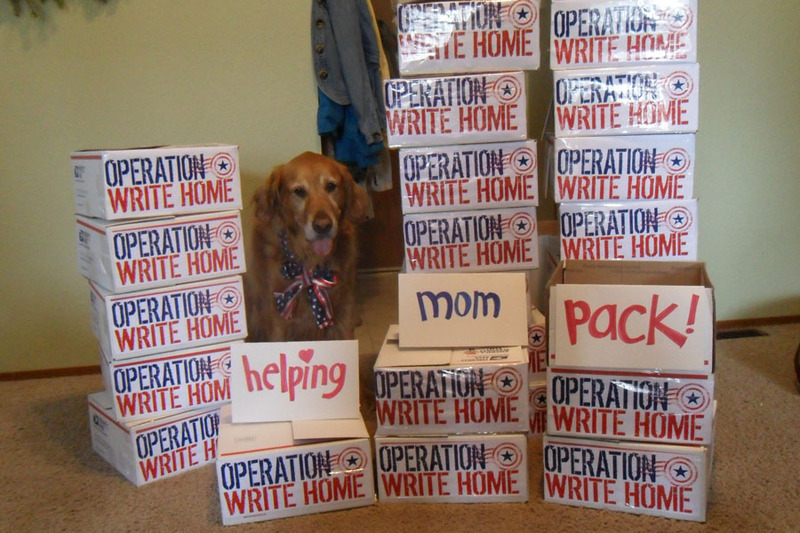 It's an attempt to tell others the emotional story of what Operation Write Home means to everyone - is it an expression of your patriotism? A way to support your own hero? Linking arms with the rest of the nation to show your support for deployed warriors? Or maybe you're a hero or family member who's received cards, and want to tell everyone what you think. We'd love to cover all of this - in a series of images, each with just three words! We'll set the photos to some beautiful and inspiring music as a soundtrack, and publish it on our birthday, 9/12! Pick your three words that say what's in your heart; then, find a way to photograph them. Or shoot a superquick video! Note that there won't be sound except the music - so if you send a video, have your words expressed visually. (You can submit them with audio, and we can strip that out in video editing.) Contributions due August 31! Word trio ideas: Here are a few idea starters...we'd love to have many different ones to tell the OWH story, so use these or come up with your own! Leave a comment on this post with what YOUR three words are....whether or not you're able to submit a photo. Families who have received cards: Love Daddy's card, Free mail rocks! Post your three words photo on your blog or gallery and link it up here, or if you want to keep it a surprise for the video, email them to Sandy. Remember, these are due by AUGUST 31 please, so we have time to produce the video for the Birthday Bash on Sept 12th. Thanks for your participation! fun idea. Just posted in the gallery with the title "three words." Freedom isn't free. Posted in card gallery. I could also have used United We Stand. My family would like to do a pic, we'd like to use the words "Some Gave All". We're working on our pic now.